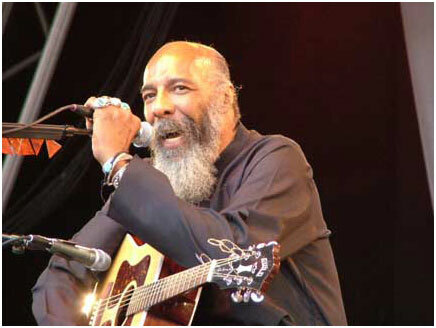 "Richie" Havens is an American folk singer and guitarist. He is best known for his intense rhythmic guitar style (in open tuning), soulful covers of pop and folk songs, and his opening performance at the 1969 Woodstock Festival. He is known for his version of the Beatles hit "Here Comes the Sun".